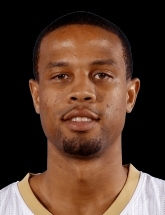 New Orleans Pelicans guard Bryce Dejean-Jones has died of a gunshot wound to the abdomen. The Pelicans issued a statement Saturday afternoon confirming the news. "It is with deep sadness that the Pelicans organization acknowledges the sudden passing of Bryce Dejean-Jones," the statement said. "We are devastated at the loss of this young man's life who had such a promising future ahead of him. Our thoughts and prayers are with Bryce's family during this difficult time." According to a report obtained by the Dallas Morning News, Dallas police officers responded to a call about a shooting at an apartment at about 3:20 a.m. Saturday morning. The resident of the apartment said an individual had kicked open his front door and entered his apartment. The resident, who had been asleep, retrieved a handgun when he heard the individual. After calling out and not receiving an answer, the resident fired his gun at the individual, who left the apartment and collapsed in the breezeway. The individual was transported to the hospital where he died.